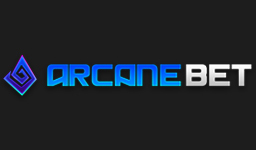 A paradise for anyone looking to combine the action filled eSports betting with a thrilling casino pleasure! Navigate a fully packed casino with all the best slots and enjoy yourself betting on any of the popular eSport games. Find an awesome mobile app to make the most of your experience when travelling, while you take your betting to the next level with an interactive cash out option. Need support? Don’t worry, with awesome 24/7 support they’re always there to help you! Click the button below to start placing bets or learn even more about NetBet by continuing reading the full review below. The German welcome offer consits of a deposit bonus of 100€. To be able to take part of the bonus, bonus code 100DE needs to be used. Any other countries than Germany (as well as those excluded from a welcome offer) can receive a 50% deposit bonus up to 50€. To be able to take part of the bonus, bonus code WELCOME50 needs to be used. To be able to receive the bonus, the deposited amount must for some countries be turned over once on at least one selection with odds 1.6 or higher. For other countries, a coupon must be placed with a combination of three selections with all selections having odds of 1.6 or higher. 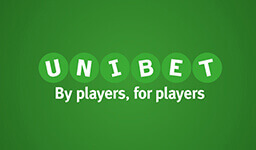 Once the qualifying bets have been settled, the bonus will be credited automatically. To wager the bonus received, deposit + bonus must for some countries be wagered 6 times on at least one single selection with odds 1.6 or higher. Other countries must wager deposit + bonus 8 times on combination bets of three selections, with all selections having odds of 1.6 or higher. 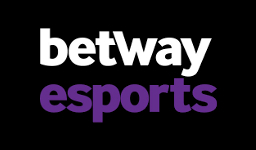 Going through the eSports section of NetBet, one thing is certain; there’s quite a lot to bet on! NetBet is really doing a great job covering a lot of matches from tournaments going down. You will be able to place bets on the most common games such as League of Legends, Dota 2, CS:GO and Starcraft 2, but will also find some more rarer ones like Overwatch, World of Tanks and plenty of others. What unfortunately brings the eSports coverage down a bit is that the markets offered by NetBet are quite limited, as you rarely see any other markets than match winner, handicap and over/under total score. Even if the withdrawal times are not the best, they’re not the worst either and with 24/7 support, NetBet may definitely be place worth checking out. Definitely so should you also have an interest for casino games as they have quite a nice selection of them. At NetBet withdrawal times vary depending on if you are playing casino or sports. Luckily sports is prioritized and usually a withdrawal is processed within 24 hours of requesting it. When it comes to playing casino however, a withdrawal is usually processed within 24-48 hours. Generally speaking, there is unfortunately no way to speed this up, but if you’re a very loyal player they do of course take this into account. When it comes to settling of bets, these are usually settled shortly after the game has finished. However, for some markets like over/under, the bet is usually settled while the game is still on-going which means that your bet is settled shortly after the event has occurred. In some cases it’s possible to have a bet settled upon contact with the support, but there is no guarantee to this. NetBet + Casino = Amazing. With about 900 different slots from 27 different game providers, we are very, very impressed by this casino. Not only do they offer a lot of games and a huge variety, but they also have several different filter options where you for instance can filter by game provider, which is really nice to see. You will most likely be able to find all of your favorite slots gathered in one place, which is otherwise a bit rare to see, as there is usually always something missing. In addition to this NetBet of course also offer all the table games you need, video poker and a live casino . They also have a few selections of virtual betting and poker within the iPoker network. Argentina, Austria, Bosnia, Brazil, Canada, Denmark, Finland, Germany, Iceland, India, Indonesia, Ireland, Malaysia, Netherlands, Nigeria, Norway, Poland, Russia, Sweden, UAE, UK. American Samoa, Australia, Bahamas, Belgium, British Antarctic Territory, Bulgaria,Canton and Enderbury Islands, Curacao, Cyprus, Estonia, Guadeloupe, Guam, Hong Kong, Israel, Johnston Island, Latvia, Macau, Martinique, Mayotte, Northern Mariana Islands, New Caledonia, the Philippines, Pacific Islands Trust Teritory, Portugal, Puerto Rico, Réunion, Saint Barthélemy, Singapore, Sint Maarten (Duch Part),Saint Pierre and Miquelon, St. Thomas, Spain, Switzerland, Turkey, UAE, United States of America, U.S. Miscellaneous Pacific Islands, U.S. Virgin Islands, United States Minor Outlying Islands, Wake Island and Wallis Futuna.